But at the end of the day, as the industry continues to bicker over the use of suffixes and whether a biosimilar should be designated as such on its label, one thing has emerged clearly: the reference side of the pharma industry is not thrilled with the thought of having its own “generics industry.” Those in the FDA are taking their time to ensure an adequate system is in place to guarantee the safety of biosimilars in the interest of protecting patients and to keep the reputation of this burgeoning market from harm. And somewhere through all this noise, there has evolved the notion that the generics and biosimilars industries are drastically different. Let me be clear: I absolutely acknowledge the differences in the complexity of manufacturing a biosimilar compared to a small molecule, as well as the concern that any changes in a biosimilar (as well as a reference biologic) can have serious implications for those taking these treatments. However, in all of the squabbling between reference and biosimilar makers, it seems to me as though we’ve put the small molecule generics industry on a pedestal. After all, the industry has been around for several decades, there are a large number of players, and, in terms of safety, small molecule generics have overall earned the reputation of being safe. But should we really be considering the two types of drugs as drastically different as we have been over the past few months? I stumbled across an article that was published in Fortune in January 2013 that posed the question: Are generics really the same as branded drugs? 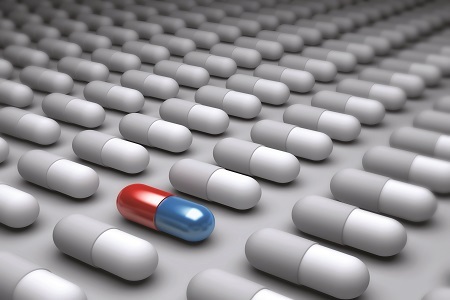 After all the hoopla created by the emerging biosimilar industry, it would seem that, at least in comparison, the answer to this question would be “yes.” But, one particularly big instance in pharma’s history has proven this is not actually the case. In fact, in October of 2013, the FDA pulled a previously approved generic drug to Wellbutrin off the market because it was not bioequivalent to the originator molecule. This obviously led to an upheaval within the generics industry. Teva, the company carrying the generic, stopped selling it while other companies began retesting their generic versions of Wellbutrin in response to FDA requests. It was this event that inspired many doctors and medical societies to ask what Fortune has fittingly labeled “a question that borders on heresy:” are generics really identical to their originator drug? And, as it turns out, many of these questioners are arriving at the answer — No. Of course, there have always been degrees of variability between a generic and its originator product; in fact, there’s a relatively wide spectrum in which a generic’s active ingredient must fall in order to be considered bioequivalent. For instance, the concentration of the active ingredient cannot be less than 20 percent below or 25 percent above that of the brand name (a rather broad range). Similarly, the excipients used to make up the drug, as well as the amount of time the generic takes to reach peak concentration within the bloodstream, can also affect a generic drug’s bioequivalence. Naturally, this could affect a patient’s response to a generic medicine, as well as cause some hesitation for doctors and patients. As I stated above, I don’t wish to compare the biosimilar to the generic in terms of product. Rather, it was the question posed in the Fortune article that got me thinking about the different markets. If we can ask if a generic is really identical to its reference drug — the very question that’s puzzling the FDA and medical professionals about biosimilars — and still have medical professionals answer “no” to this question without seeing the industry lose its reputation, who’s to say within a decade or two, the biosimilar industry won’t have the same standing as the generics industry? The caution that the FDA and reference makers are emphasizing as we venture into this treatment realm is warranted; we don’t want to see another instance similar to the great generic Wellbutrin recall mentioned earlier. The biosimilar market is unfamiliar enough in this country that it could be seriously damaged by any adverse effects in patients. But for all of the reference makers’ efforts to keep parties in the industry questioning the legitimacy of the biosimilar as a generic form of treatment, I think it’s important to keep the generics industry in mind. When that industry was launched, no doubt a lot of the same questions were posed about a generic’s legitimacy as a safe and equivalent treatment option. But have these questions kept the generics industry from growing? No, not at all.